Halloween Lights for your desktop. You can right-click and "string" them together across your screen. Enjoy. 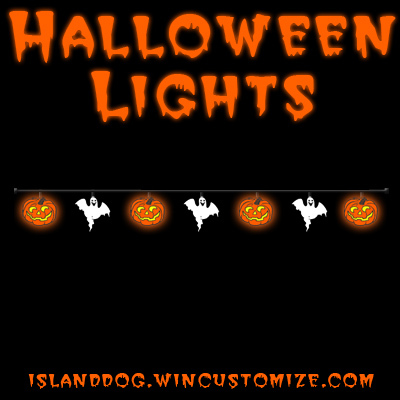 was wondering the other day if someone was gonna do some Halloween lights. Thanks for another object to complete the Halloween theme! Yes, thanks for the nice Halloween addition! Ooooo, terrific, just updated my desktop! These are cute - they blink really brightly. Just have to have these! Spooky! Thanks, ID ! Sooo cool, I have this and halloween countdown, on my desktop, at my site. They really lite up the desktop. I just love them both.